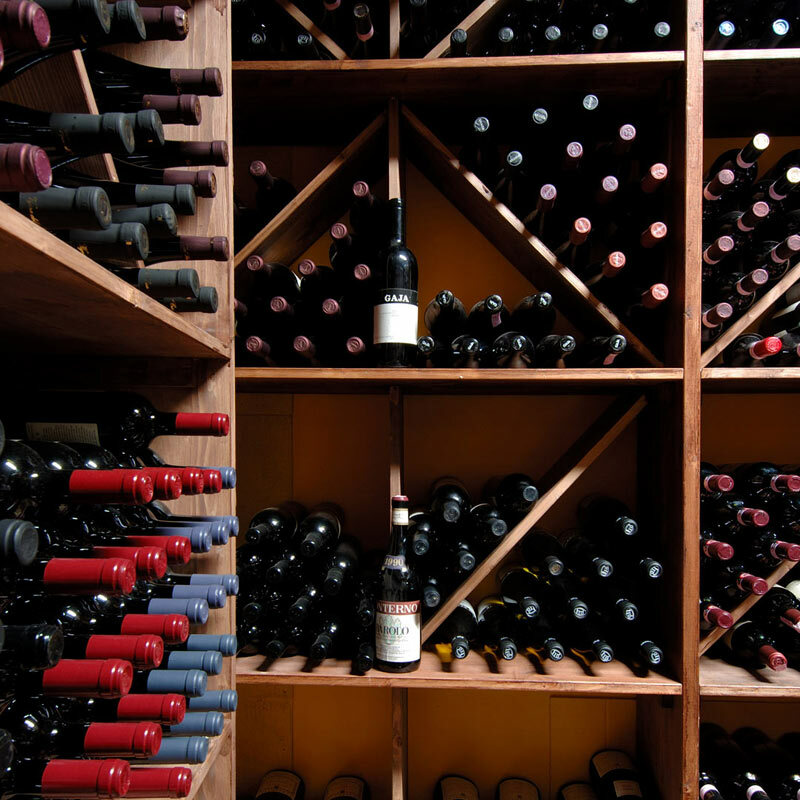 Our cellar is an integral part of the restaurant’s identity. A place of meditation that gathers all the passion for drinking well, including selected labels, mainly from Italy and France with a small collection of prestigious bottles from the “rest of the world”. For Italy we have chosen to dedicate space to the great Italian wine makers, without renouncing the classics that best characterize the wine-making tradition of our region, continually searching for the true excellences of Emilia Romagna. All the scents and tastes of local grape vines, will make for a regional journey for foreign customers to discover the most renowned, local wines. We love to taste, understand and carefully select the wines we choose to present to our customers. There are bottles that must always be available on our wine list, others that can be selected according to individual tastes, and others that improve with age and patiently remain in the cellar. A continuous movement that allows us to offer the quality, refinement and balance of the best wines, but also to find new and unexpected proposals able to enrich the wine list. Due to this constant interest in creating a selection of wines, including notes of refined scents and tastes and elegant proposals of more traditional wines, our cellar obtained the “Grapes” recognition, awarded by the Michelin Guide.